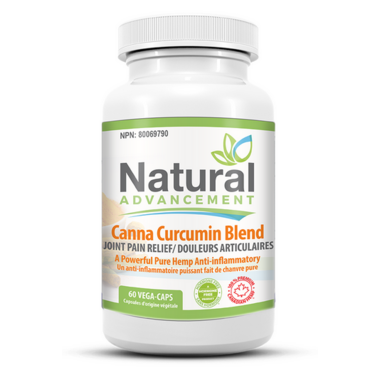 Natural Advancement Canna Curcumin Blend is a powerful natural inflammatory for the relief for joint pain. Curcuminoid, a key active ingredient found in Turmeric, is known around the world for reducing swelling and inflammation. Hemp enhances Curcuminoid’s natural medicinal chemistry and delivers an extraordinary way to relieve your joint pain and boost protection for your overall immune system.